The focus of criminal courts is to obtain justice and punish offenders. However, drug courts are different. Eligible offenders who are entered into a drug court program in Maryland have the opportunity to turn their lives around through comprehensive, structured treatment. If you’ve been charged with a drug crime, contact a criminal defense attorney near Waldorf right away. Ask your criminal lawyer about your eligibility for entry into a drug court program. 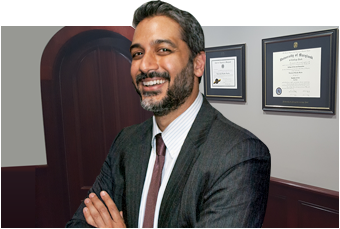 As your criminal lawyer can explain to you, the mission of Maryland drug courts is vastly different from that of traditional criminal courts. Criminal courts are by nature adversarial and the court plays a very limited role in the defendant’s supervision. In contrast, a Maryland drug court is non-adversarial, the court team collaborates for the benefit of the defendant, and the court team closely monitors the individual throughout his or her treatment. The primary mission of Maryland drug courts, which are located throughout the state, is to help an individual become a non-criminal, productive individual again. There are a number of ways you can be referred for entry into a drug court program. Your criminal attorney can play an integral role in having you referred and accepted to the program. Sometimes, however, the sentencing judge, State Attorney’s Office, or Department of Parole and Probation refers defendants to drug court. Eligibility requirements may vary from county to county. For example, if you wish to enter the Montgomery County Circuit Court Adult Drug Court Program, you must be a resident of Montgomery County. You may also need to be assessed as a substance abuser, a nonviolent offender, and considered to be capable of participating in the program. Drug court treatment programs are highly intensive, structured, and individualized programs. Your criminal attorney can help you understand what the program will be like and what you must do to graduate from it. For example, you’ll be required to satisfactorily complete all of the program assignments, which may include community service, and you must have a certain number of days with a clean urinalysis.